A little behind with these, thanks to a little break in Sicily – not a lack of commitment to the Bake Off cause! This post is dedicated to the memory of Howard, whose dulcet Yorkshire tones won’t grace our screens till he most probably pitches up at the final. A sad loss. 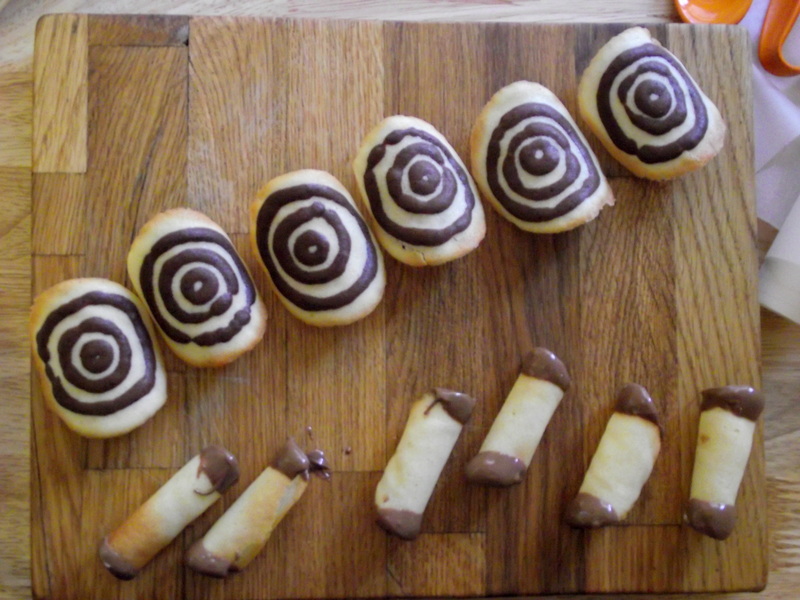 Anyhoo, these aren’t too tricky so long as you don’t take the whole tray out at once and plonk it on the side – much easier to try and mould them half in the oven, so they stay nice and soft. I reduced Mary’s recipe to 1/3 as I didn’t want 8 baskets, 32 tuiles and 8 cigars, or indeed 6 egg yolks. I can’t imagine who would. 1. Beat together the butter, sugar and vanilla to form a smooth paste. 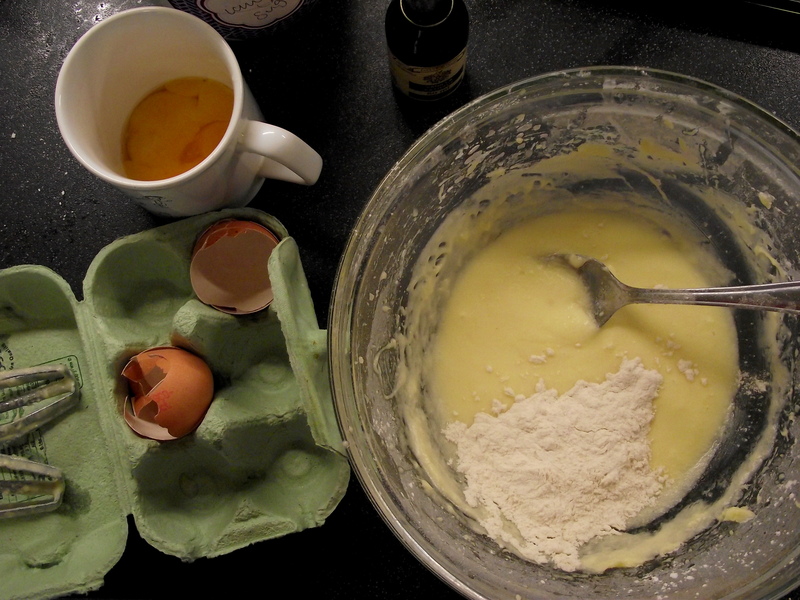 Gradually add the egg whites, whisking continuously, before folding in the flour. 2. Transfer a tablespoon or so of the mixture to a small bowl, and stir in the coca. 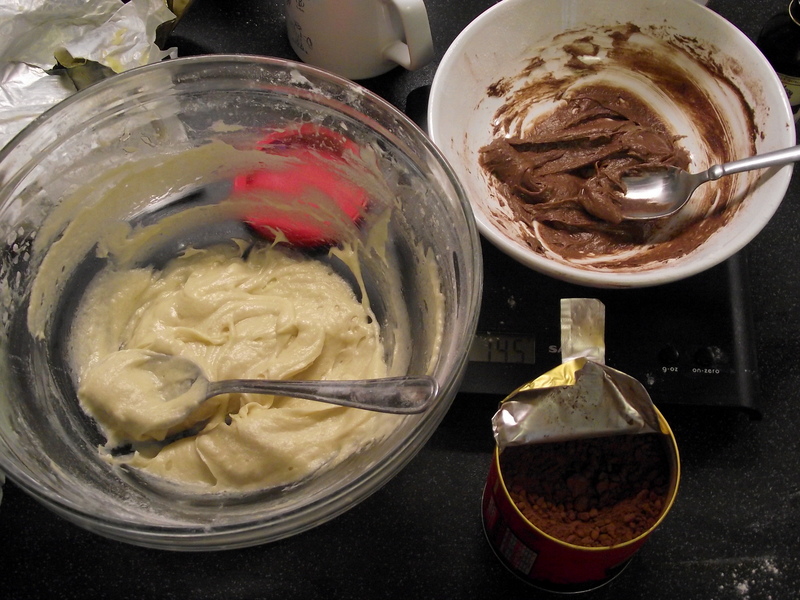 Cover both mixtures with clingfilm and leave to settle for half an hour. 3. 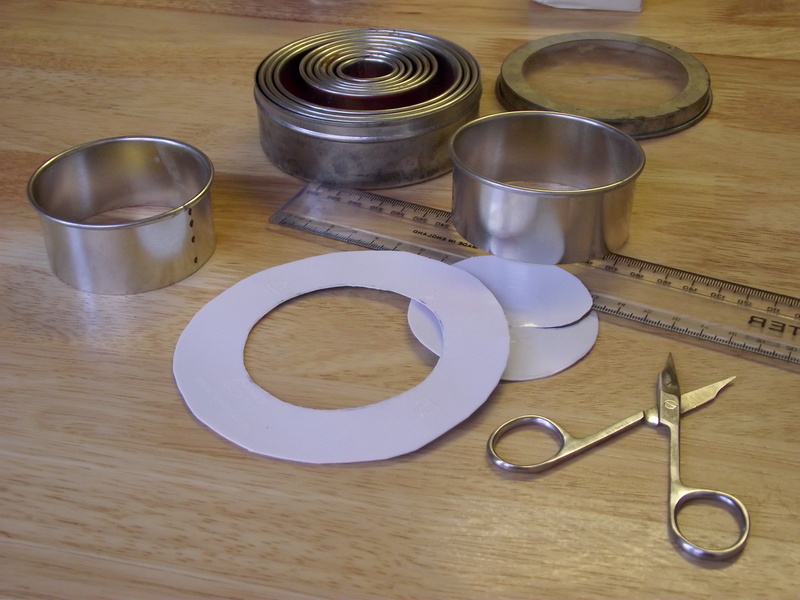 Meanwhile, make a stencil by cutting a 7cm circle from the lid of an ice cream tub, leaving a good inch or so around the edge. 4. Place the template on a lined baking tray, and spread a dollop of mixture over it with a pallet knife. 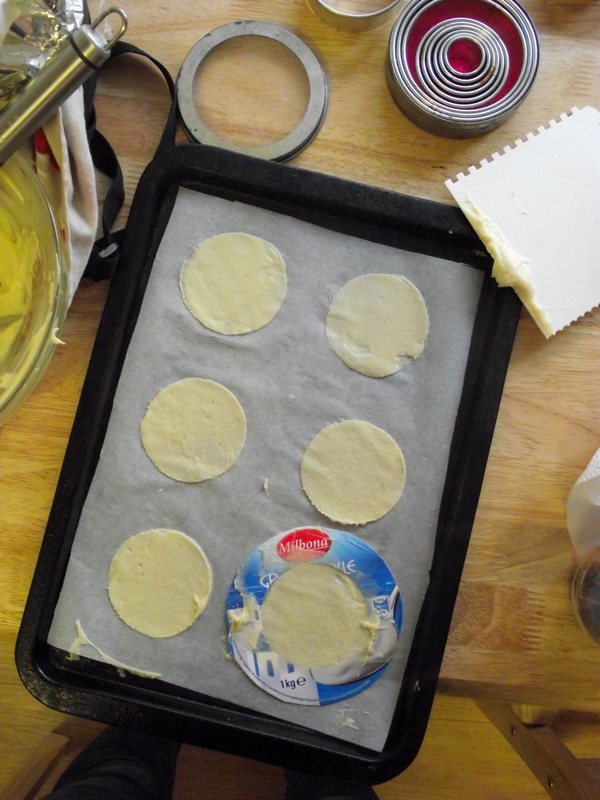 Scrape off the excess and gently peel off the template to leave a very thin circle of paste. 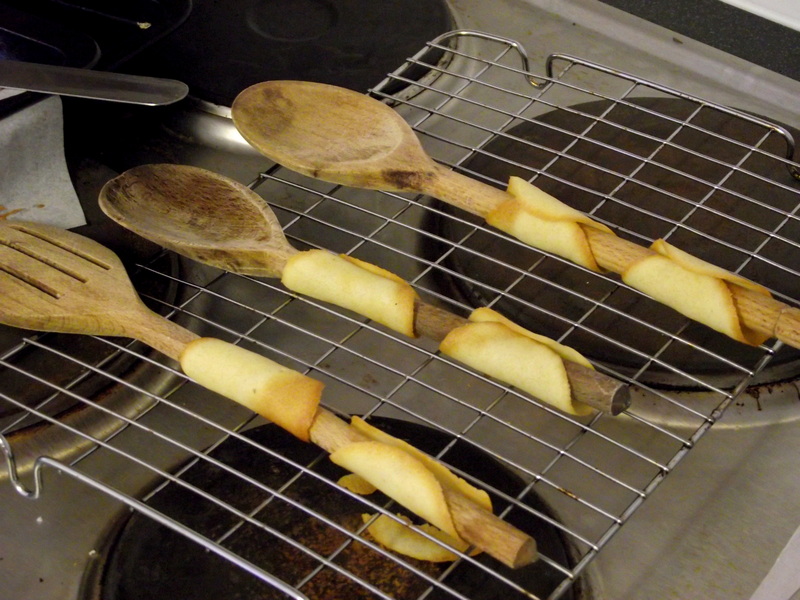 Repeat to make the first six tuiles. 5. 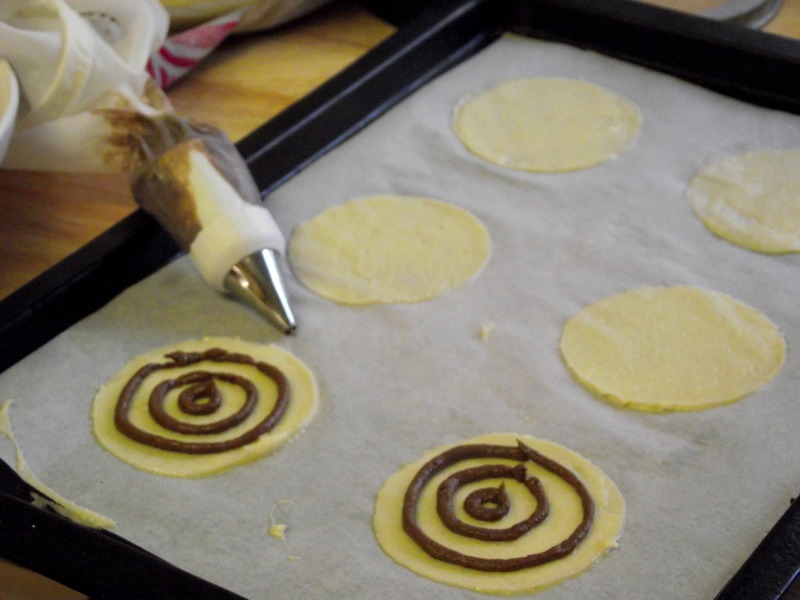 Transfer the chocolate mixture to a piping bag, and pipe concentric circles onto each disc. 6. 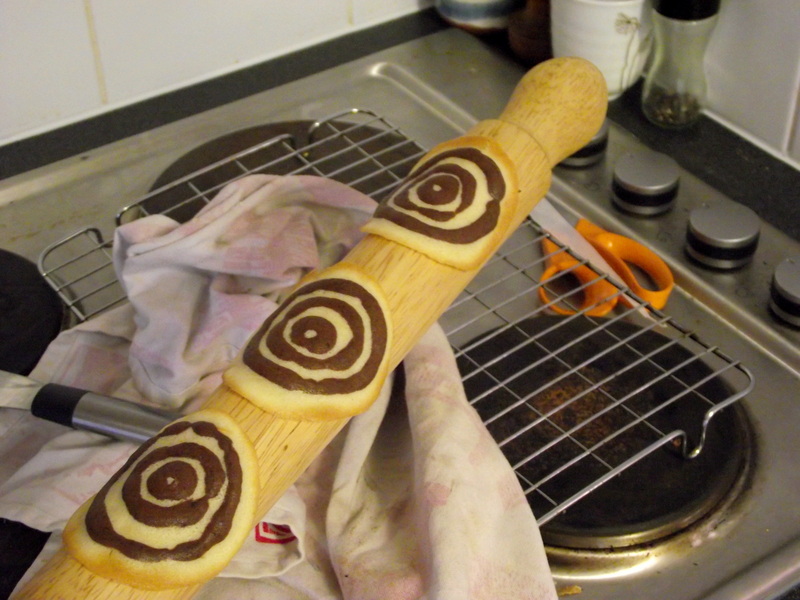 Bake at 180C until the edges begin to turn golden brown, then lift each tuile using the pallet knife and mould them around a rolling pin to cool. 7. Make six more discs, but this time mould them around wooden spoon handles to form cigars. Leave to cool before dipping both ends in the melted chocolate. 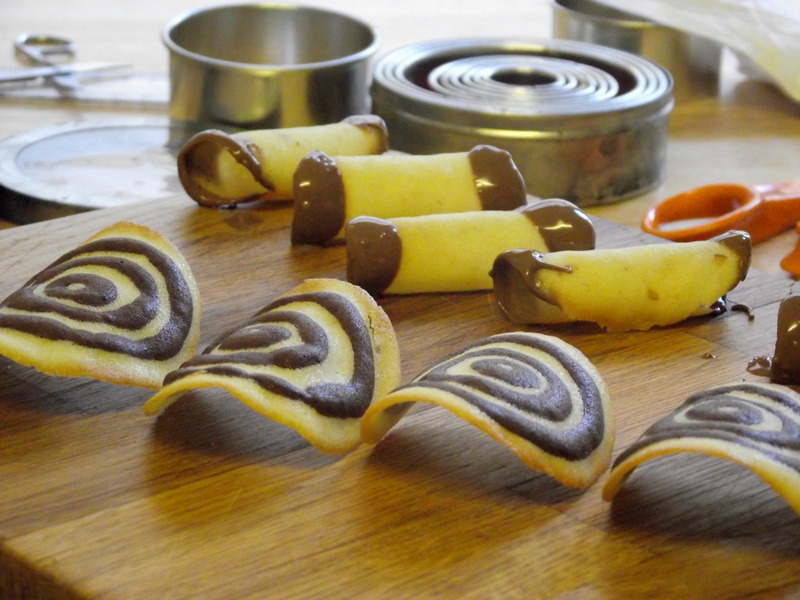 Then eat all the tuiles because what else would you do with them?